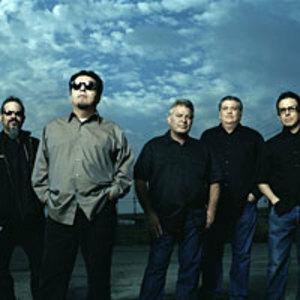 The Latin American supergroup Los Super Seven assembled Los Lobos' David Hidalgo and Cesar Rosas, Freddy Fender, Flaco Jiminez, Joe Ely, Rick Trevino, Ruben Ramos, and Joel Jose Guzman. Banding together to reinterpret traditional Mexican folk songs, the group debuted in 1998 with their self-titled, Grammy-award winning LP on RCA. In 2001 the group released Canto, a twelve-track collection of Latin American pop and folk that included the talented Caetano Veloso, Susana Baca and Raul Malo. 2005 saw the release of Heard It on the X, a celebration of border radio that added Delbert McClinton, Rodney Crowell, John Hiatt, Lyle Lovett, Charlie Sexton, Joe Ely, Clarence "Gatemouth" Brown, and Freddy Fender to the mix.